Football fans in Ebonyi have extolled the patriotism and unique character of the late Super Eagles midfield maestro, Sam Okwaraji, 29 years after his demise. The News Agency of Nigeria reports that the former Eintratch Frankfurt of Germany star suddenly collapsed and died on August 12, 1989 during an “Italia 90” World Cup qualifier against Angola, at the National Stadium, Lagos. The fans, who spoke to NAN on Sunday in Abakaliki, alleged that in spite of the nation’s football authority’s erasing Okwaraji’s memory in its activities, fans across Ebonyi, Nigeria and Africa still remember him. Obinna Nwankpa, a defunct Ebonyi Angels striker, recalled with nostalgia the events which made August 12 unforgettable in the annals of the nation’s soccer history. “I was inside the `main bowl’ on that fateful day and most fans due to the tension generated by the encounter, did not notice when Okwaraji slumped. “It was a fellow midfielder, Ademola Adeshina’s hysterical shouts on the referee and the medical team for attention on Okwaraji that drew players and spectators’ attention as life was draining from him,” he said. Eche Ezechukwu, a former Golden Eaglets Striker, said that Okwaraji’s unique lifestyle motivated him to pursue his soccer career. “Okwaraji remains the only Nigerian player who paid for his flight expenses whenever on national duties and truly saw wearing the national colours as an honour. “He remains in death, a role model for Nigerian players because the sort of tension and grief generated by his death in the country that day, had not been experienced till date,” he said. Jude Asokuh, who claimed to be Okwaraji’s relation, lamented that several promises made to the Okwaraji family by the federal and some state governments had not been fulfilled. “The governments only erected several statues of Okwaraji at the National Stadium, Lagos and other places, organised activities in his name within that period, while decorating his grave at his hometown Umudioka, Orlu in Imo. “Several financial among other promises made to his family were not fulfilled and football authorities in the country cannot even maintain the simple task of keeping his memory alive,” he lamented. 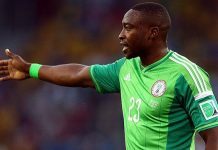 A businessman, Chief Orji Ndah, collaborated Asokuh’s assertion, saying that such treatment for departed and retired ex-internationals accounted for the non-patriotic disposition of active footballers. “Players have families to cater for and future to secure and this make them demand for financial commitments for national duties because they will be forgotten immediately they retire or die. “It is shameful, for instance, that the football authorities no longer remember Rashidi Yekini, a player revered around the continent and whose goals brought honour to the country and joy to several homes,” he said. 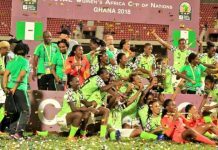 A civil servan, Ifeoma Anukam, urged Nigerian footballers to have alternative careers as exemplified by Okwarji. “The late Okwaraji, in spite of his busy football schedules, was an international lawyer and possessed degrees in several disciplines, a situation that could have alternatively secured his future if he was still alive,” she said.